The theme of March’s watchlist is one that is starting to gain momentum in the international conversation regarding conflict and peace efforts. That is the topic of youth and conflict. 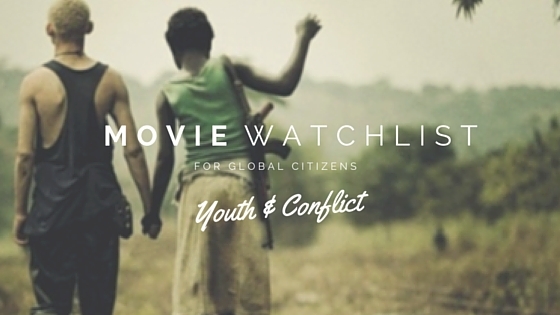 The following watchlist features 5 films that pinpoint different experiences of youth and the consequences of conflict, more specifically in Africa, the middle east and Ukraine. All of which are available on Netflix, except the BBC’s Children of Syria, which is available on DailyMotion and Children & Anti-Terrorist Operation which can be found on Youtube. Also, check out the previous Watchlist’s on gender equality and consumerism. A favourite among many during 2016’s Oscars buzz, Beasts of No Nation ultimately did not collect up any nominations, much to the dismay of all its supporters. It did, however, shed light on an issue that is extremely current: that of the use of child soldiers in conflict. Whilst the film itself chooses to address this issue neutrally by not referencing a particular country’s situation, one can assume that the experience can be likened to that of the current unrest in Sudan or Nigeria. We follow the main character, a boy named Agu, who illustrates the reality of many child soldiers who are captured and forced into war. It is a sobering tale based on a novel of the same name, published in 2005, by Uzodinma Iweala which invites the audience to enter into the complicated and often politically messy world of civil war in an African country. The film also stars Idris Elba, who embodies the harrowing character of a rebel group leader, heartless and manipulative. 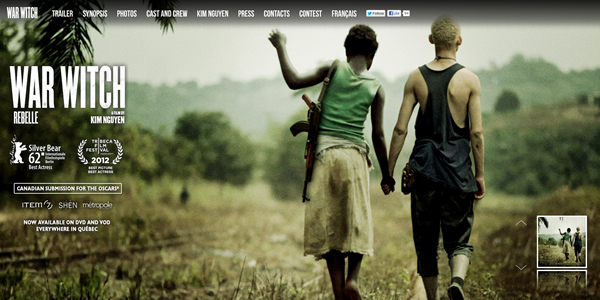 The ordeal of child soldiers is well documented in this film: taken from their families against their will, unable to go to school, they are trained in how to use weapons including guns and missiles, taught to kill anyone who gets in their way, and forced to endure hunger, sexual abuse and trauma. An important film that outlines the crisis particularly well whilst managing to remain neutral, meaning it is a film that speaks out for its cause and not against any one country. This Hollywood-esque film, produced by Ron Howard, chronicles the incredible true life event of ‘The Lost Boys of Sudan’, where some 20 000 boys (and girls) became either displaced or orphaned during the second Civil War in Sudan. Although the film does have a heavy influence of Hollywood and American styles of conveying a story, the story itself is compelling and incredible. This film particularly highlights the aftermath of fleeing war and ending up in a refugee camp in Kenya, and then goes on to show the struggles and red tape involved in trying to start a new life in a more stable and developed country, the United States. Three of the main actors are real life survivors of the Second Sudanese Civil War, which adds depth to the narrative and gives a whole new appreciation for what the film is trying to achieve. It does not sugar coat the process of freedom and equalities for the refugees, but rather shows the importance of help and aid from the general public, represented here by Reese Witherspoon. The narrative itself is clever in that its title, ‘The Good Lie’ is brought to life within it. There is also a sense of hope in this film that is rare to find in many others of the same genre. Aesthetically beautiful, featuring sweeping landscapes of South Africa and a touch of warm-hearted comedy makes this film a worthwhile watch. Earning a Nomination in the Best Foreign Language Film category at the 85th Academy Awards, ‘War Witch’ is a French-Canadian production that takes place in the Democratic Republic of the Congo (D.R.C) during the years of its Civil War. The main character, 14-year-old Komona, is a child of war. Abducted from her village at the age of 12, she spends two years in the hands of the rebel army and is swiftly promoted to one of their most valued members as their ‘War Witch’ who has the ability to sense government forces when they are near. In this film, we are given a real sense of the trauma experienced by child soldiers in quite a metaphorical and artistic form which is sure to captivate and send shivers down the spine. The director, Kim Nguyen, takes this trauma and transforms it into something of supernatural origins, which translates well, given the narrative. There’s a love story, which is contradictory of course, but somehow enriches the film. We witness the power of true love, both that of family and of romance. The film harshly reminds us of the innocence and youthfulness of children caught in conflict and reiterates the many human rights violations that are carried out on these children, until this day. 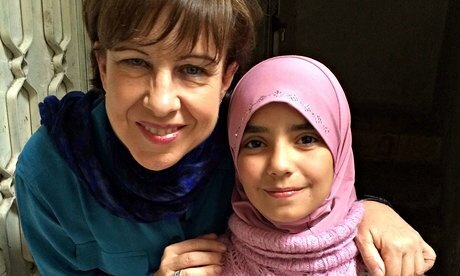 You might also like this story about Syrian heroes.